What many hunters overlook is that they would never need to spend time handling their dogs if alignment drills were practiced. However, many hunters neglect these drills because they do not understand just how easy they are. Here, wagon wheel drills will be discussed. A wagon wheel drill is a simple and easy exercise that can be used for practicing proper alignment when going after marks. This exercise gets its name from the way that it would appear from an aerial perspective. Hunter and dog are the center of the wagon wheel, while the lines that the dog runs to retrieve thrown bumpers represent the spokes of the wheel. There are a few things to remember before initiating this drill. First, if your dog heels on your left as most gun dogs do since shotguns eject shells on the right, then you want your dog’s body aligned with your left leg. You will use your left leg to gently position your dog’s spine and tail, while your right leg will be used for fine tuning your dog’s head position. This drill does not rely on pressure; rather, repetition is most important. Once you and your dog have perfected positioning, the next step is to throw the bumpers. Start with 4, and throw them at 12:00, 3:00, 6:00, and 9:00, as if your wagon wheel were a clock. Each time you throw a bumper, make deliberate pivots and make sure your dog follows you accordingly. Perhaps the most important part of this drill is talking and communicating with your dog. Provide plenty of praise when your dog is properly aligned and runs the perfect line, while also verbally correcting your dog when the alignment is not ideal. Once the final bumper has been thrown, turn to one of the other bumpers on the wagon wheel and re-align your dog. Be meticulous and ensure that your dog’s alignment is perfect, all the while giving cues. Use your knee to push / pull your dog as needed. For instance, when you pull your leg back, your dog should move backwards. Alternatively, when you push your leg forward, your dog should move forward. This aspect of the drill is best learned through repetition. Once you are happy with the alignment, send your dog after the bumper. An important component of this drill is that you throw the bumper back after your dog retrieves it. Not doing so is a common mistake. After the bumper has been returned to its starting point, move to another point on your wagon wheel and repeat the drill. Once your dog has mastered this drill with 4 bumpers, move up to 8. Some hunters even use 12 – 16. Ultimately, the wagon wheel drill is all about repetition. If you complete this drill 2 – 3 times for the duration of your dog’s life, hunting will become much easier. Choosing a balanced, high quality food for your sport dog has never been easier. More research than ever before has gone into nutrition in your dog, specifically as it relates to sporting dogs. 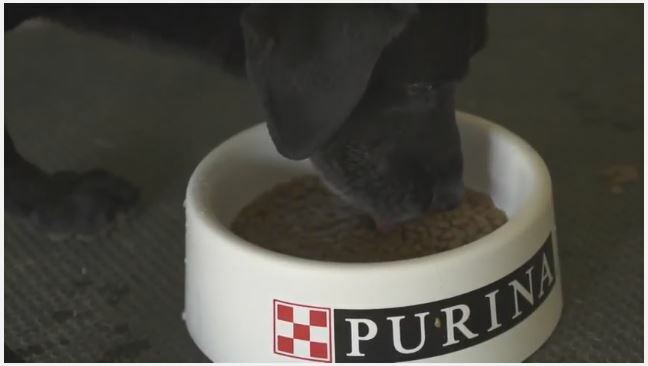 One company that has led the industry in scientific research of canine nutrition is Purina Pro Plan. Why is nutrition for your dog important? A balanced diet for your sporting dog provides all of the energy that he or she needs to make it through a day in the field, performing retrieve after retrieve. The food that your dog eats affects his or her ability to stay warm in the blind, as well as its coat condition. Research has even shown that the quality of a dog’s diet affects the animal’s scenting ability. As a top-tier athlete, your dog should consume the best diet possible. Once you have found the highest quality kibble for your pet, the next step is knowing how to to properly use the product. First, hunters should float their sport dog’s food. Simply add warm water to the your dog’s kibble and allow it to sit for a few minutes before feeding it to your dog. Canines are notorious for being dehydrated, especially dogs that work hard day in and day out. Dehydration can limit their performance, so adding extra water to their diets is essential for optimum health. Next, make sure your dog is eating the proper portion sizes. An overweight sport dog will struggle in the field and be limited in his or her performance. Feed toward your dog’s body condition. You should be able to see your retriever’s back ribs slightly. Finally, knowing when to feed your dog is important. Many dog owners mistakenly believe their animals should be fed twice per day. Instead, we now know that a dog with kibble in his or her stomach during intense exercise is at greater risk for developing stomach ulcers. Additionally, feeding a dog immediately before a hunt is useless, since dogs do not metabolize their meals for a full 12 hours. Therefore, the best time to feed your retriever is 30 – 60 minutes after exercise, or at the end of the day so that your dog has time to turn the food into usable energy. 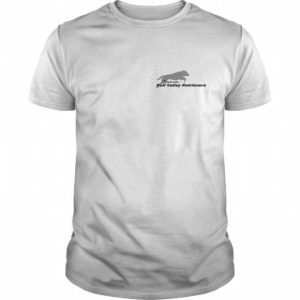 Bull Valley Retrievers Shirts Now Available Click on Image for more information. Few people associate doggie day care with aggression problems; after all, daycare is a place for happy-go-lucky dogs, right? However, many canine behavioral experts disagree with the advertised virtues of day care, on the basis that they can cause – as opposed to prevent – aggression in animals. Listed here are three reasons that day care can contribute to aggression issues in your dog. When dogs are at dog daycare they are generally expected – and encouraged – to play non-stop. Even when a dog decides to take a break, he or she either cannot find an area to rest due to overcrowding, or the animal is roused to play by other pets or humans. Down time is necessary for dogs, even for the most active and playful pets. When doggie daycares do provide rest breaks, the overstimulation caused by barking dogs can add an additional level of stress to your pet’s day. Dogs that are stressed out, tired, and fearful are the ones that are most likely to become reactive when they have had enough. In a perfect situation, dogs at daycare would be paired with animals of similar size, age, socialization, play style, and training. In practice, however, this scenario is not feasible in most situations. Therefore, your well-trained, well-socialized dog might find him or herself in a play group with an untrained, unsocialized, under-exercised, and over-stimulated animal (or ten). When overcrowding is not an issue, these animals will naturally form smaller groups. However, the variation of personalities in conjunction with overcrowding, which is typical for most doggie day cares, can result in personality clashes with no way for the bullied dog to escape. The end result is a fearful animal that learns to lash out – both at home and around other dogs – when he or she is uncomfortable. Becoming a certified animal behavioral specialist or dog trainer requires years of schooling and countless hours in the field. Many doggie daycares are staffed by well-meaning animal lovers who are not be well-versed in recognizing the signs of stress, anxiety, fear, and dominance in animals. Additionally, many day cares have poor dog-to-supervisor ratios, meaning that one person is in charge of too many animals. Therefore, dogs quickly learn that in order to receive attention from a human, they must behave in an extreme manner. Snapping, growling, snarling, and other dangerous, aggressive behaviors become the sole way for animals to communicate their emotions, while lesser (but equally important) signals such as a tail between the legs or uncontrolled trembling go unnoticed.